Trying to summarise what Findhorn is about, what it does and what contribution it makes is almost impossible. Every visitor, resident, student or employee would focus on something different. Even in its own literature it describes itself as a ‘spiritual community, learning centre, ecovillage’. It is these three things and so much more. Moreover, while I am primarily interested in its green buildings, these cannot be viewed in isolation from the way decisions are made (governance structures), people work together (community spirit), income is earned and distributed, the nature in which these buildings sit and the ways in which daily life is structured. I had the great pleasure of visiting for a week in June 2013. I was attending the International Communal Studies Association (ICSA) conference being held on site, but also participated in a taster experience of life at Findhorn for three days beforehand. This involved understanding community processes (such as sharing, attunement, the game of transformation and meditation), the history and evolution of the Foundation, and learning community games, singing and how work was done in different departments (I had the fun of picking rhubarb). It was a brief foray into the place, but it also felt utterly absorbing and inviting. I left with a feeling of having been openly welcomed, hugged, and shared with. This was not a normal feeling for me. I am a reserved British female academic who rarely hugs, holds hands with others, sings or dances (certainly not in front of others). But there is something about Findhorn which invites you to shed your inhibitions (no, it wasn’t the alcohol!) and to listen and share. When it was time to leave I experienced a physical shock at returning to the disconnected world beyond; that all too familiar place where we do not talk to strangers and try our best never to touch. The form of this spirituality is not prescribed, dogmatic, or a doctrine, rather it is yours to evolve and develop, and places such as the nature sanctuary are thus central to much of that practice at Findhorn. 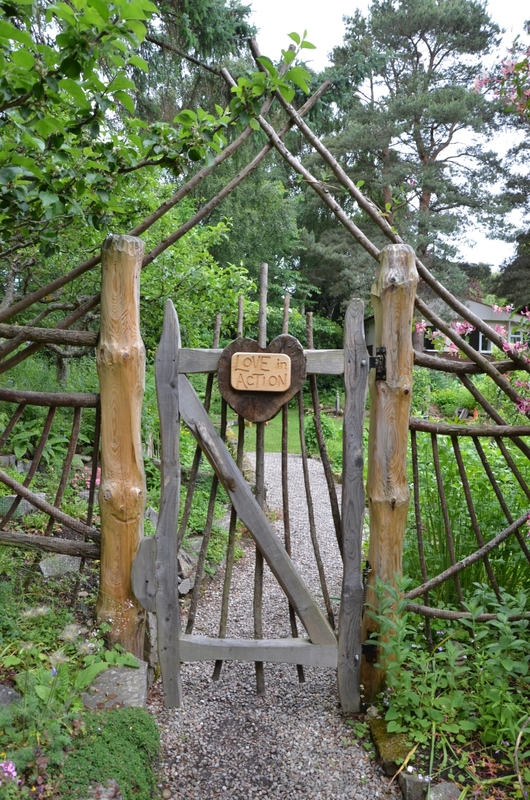 It is reported that there are at least 47 different cultural practices evident at Findhorn. 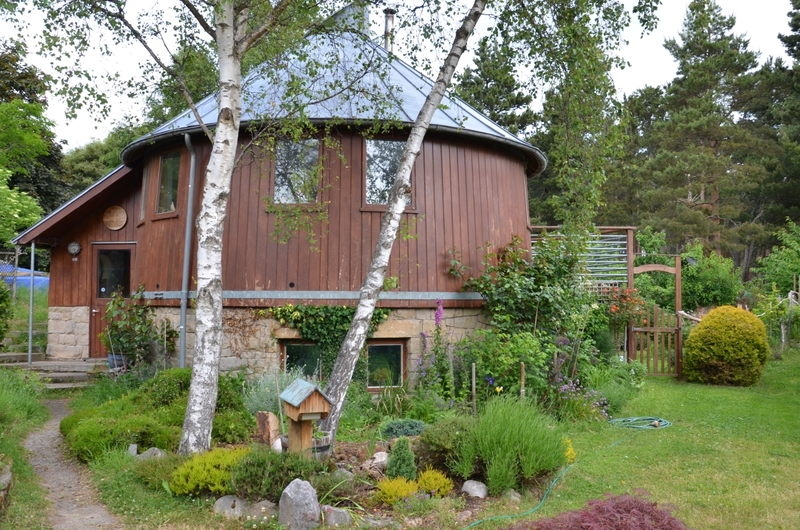 Findhorn as an eco-village emerged as a secondary ethos, in the late 1980s when members such as John Talbott sought to build better houses on the site and began experimenting with eco-building. 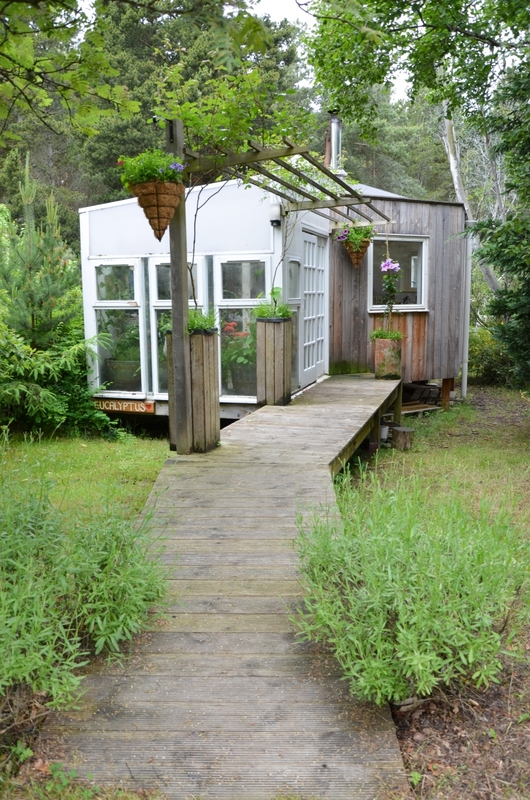 Over the years the community had purchased the Caravan Park and other land surrounding it (via fundraising), and this was a space for experimentation when Findhorn became very building focused into the 1990’s. For Talbott this emphasis was not separate to the spiritual practices at Findhorn, rather they were the act of ‘translating these early principles of cooperation and working with nature into a built environment’ (Talbott, 1995, 17). Thus rather than there being a tension between spiritual practice and building an alternative ecological world, it is through spiritual practice that better environmental solutions are developed. 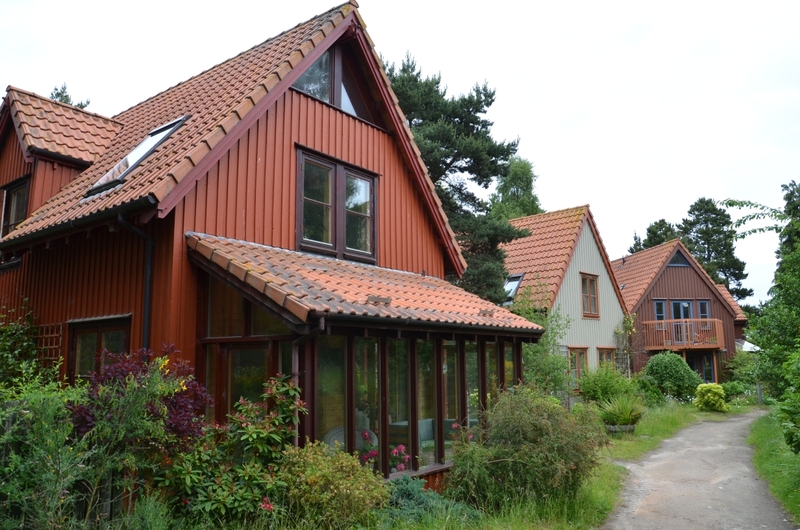 Green building is considered a physical manifestation of the cultural and spiritual sustainability already practiced and thus Findhorn began a period of combining the spiritual with the practical. This village began as caravans, many of them in poor condition and many residents still live in them. 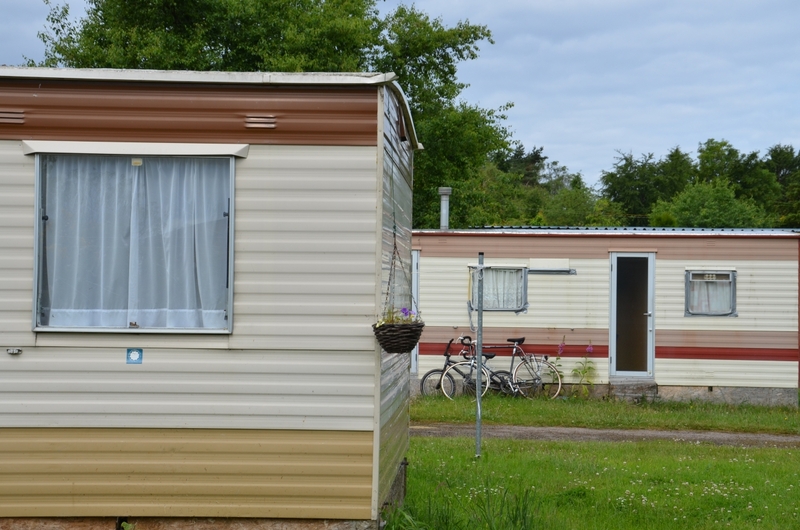 Having caravans is a great way to start an eco-village, but they are not good for a long term living. The village is now split into different developments and for anyone interested in eco-housing is a unique place to explore so many different varieties in such proximity. Approximately 400 people now live on site. HOUSING DESIGN: The emphasis on co-creation with nature led to a focus on building better homes that were more ecological. Over the years a number of different forms and designs have been tried. 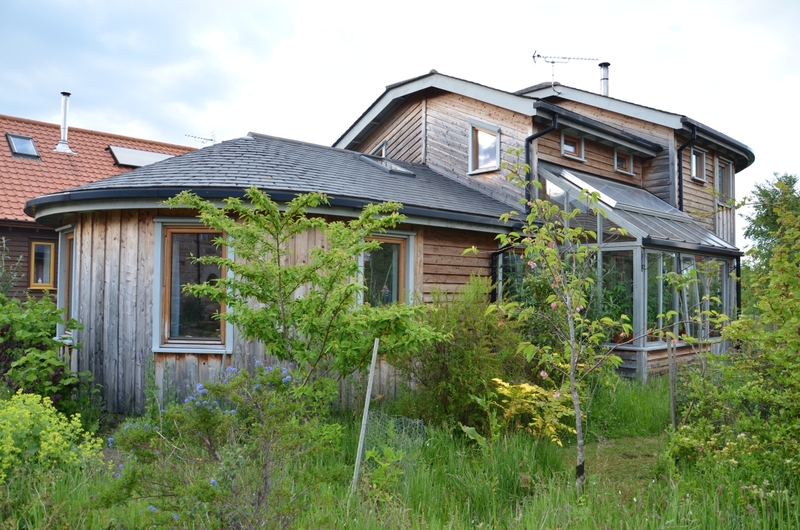 There are houses made from old whisky barrels, strawbale, and tyres, but in the last few years Findhorn decided that the best houses for the climate and affordability are timber frame with high insulation. There are some excellent examples of individual buildings which are central to the community – such as the Universal Hall, Community Centre, and Guest Lodge, but what really interests me are the houses. These are clustered into different areas of the village. 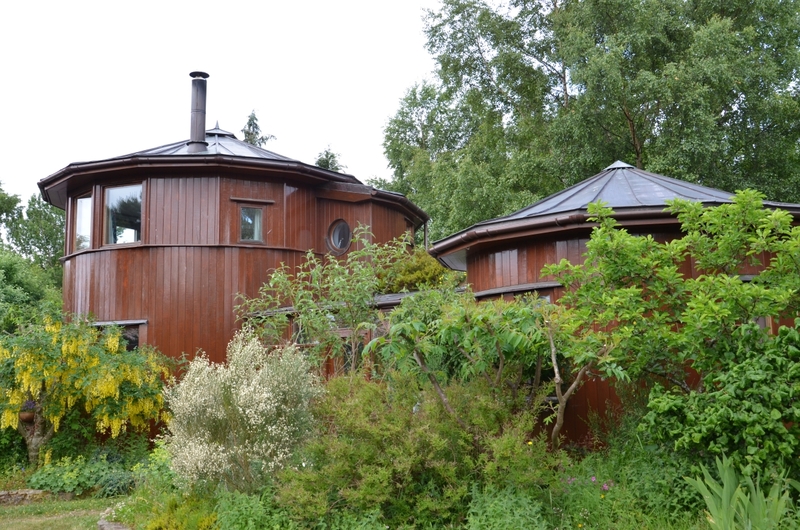 The first eco-houses were the Barrel Houses made from recycled timber vats from a local whisky distillery. Bag End was a cluster of more conventional, though just as radical for the time, timber frame eco-houses. Then Field of Dreams was built and a whole array of self- and architect-designed buildings emerged. Soillse is a unique bomb-proof set of buildings to the far east of the village which had extra requirements placed on them because of their proximity to the air force base (since closed). 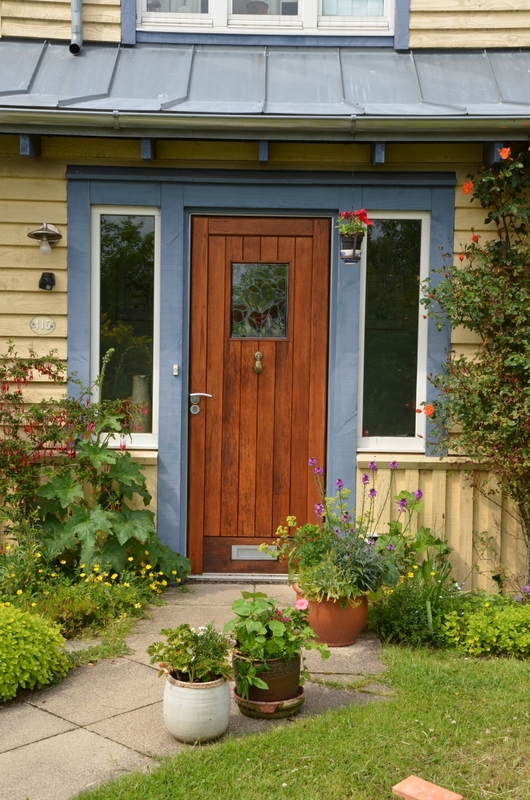 Most of these houses are ecological, inspiring, colourful, inviting and because there are so many it is hard to know where to start in exploring them. Of the buildings I stayed in and explored it was clear that timber frame worked well here and they are comfortable buildings. It is notable, however, that as with every development time changes things. 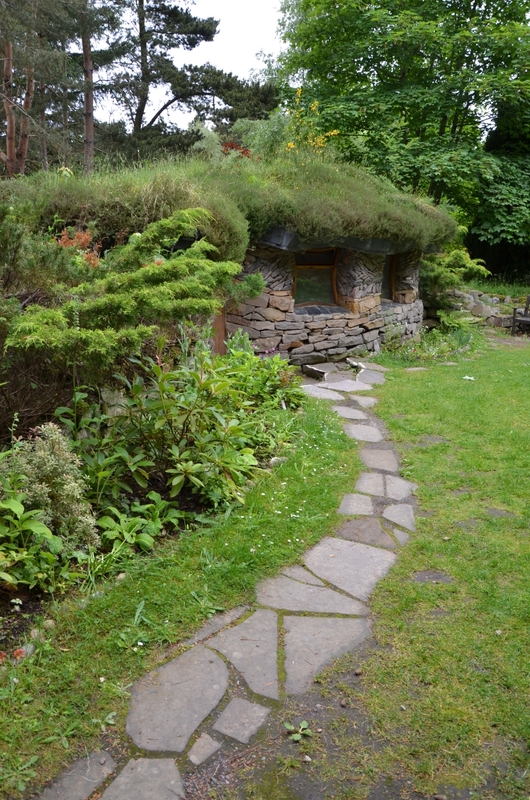 At Bag End the houses were built to be passive solar, but at the same time Findhorn was on a tree-planting mission. These trees have since grown so that Bag End feels like it is in a deep woodland – thus cutting off much of the passive solar gain. In another example, in Field of Dreams which were more individually designed, not all residents have made sensible ecological choices, for example determining where to locate the wood stove according to looks rather than need. The houses have two other noticeable tensions; fences and vegetable growing. There are few private gardens growing vegetables, whether that is due to climate, pests or desire, food provision is obviously a central ecological practice. Findhorn had intended to discourage fences around houses, preferring to keep space common and shared, but gradually fences are being erected. 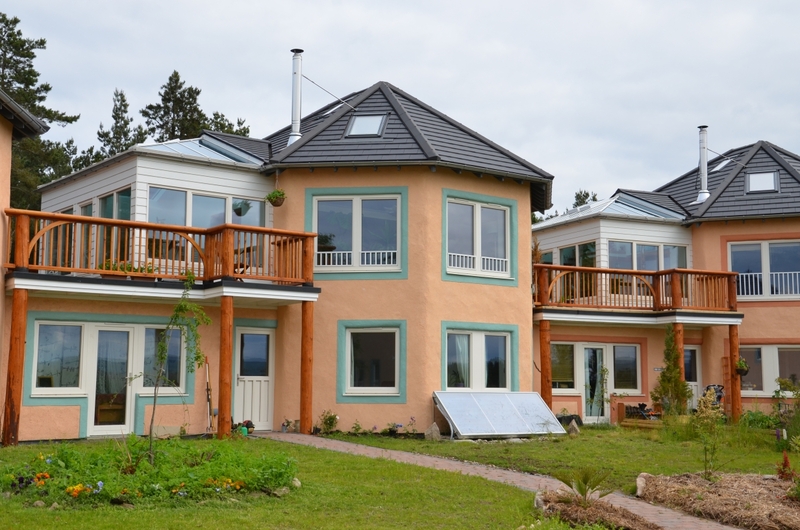 The latest stage in eco-housing are the new co-housing developments (East Whins) complete in 2013 and planned for West Whins. These signal a shift for Findhorn in releasing land for developer-led construction (an experience which has not been entirely positive) and a search for a less individualistic housing structure; seeking to extend their practice of community into new houses. 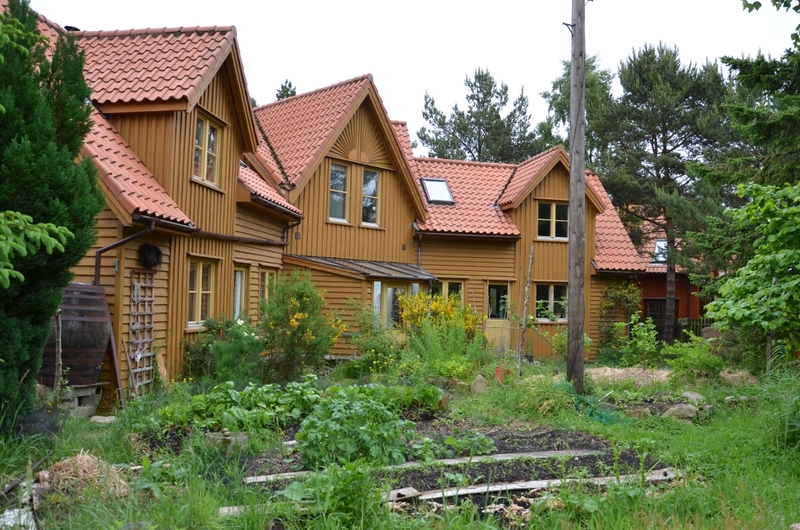 PRIVATE OWNERSHIP: This shift to co-housing has in part been because of the rise of private ownership of houses and land at Findhorn. People have freehold and thus can sell on open market. Findhorn is now trying to restrict this and restrict absentee landlords by determining that all homes must be occupied. Findhorn has also introduced social contracts as part of purchase agreements using Common Ground guidelines (see below). 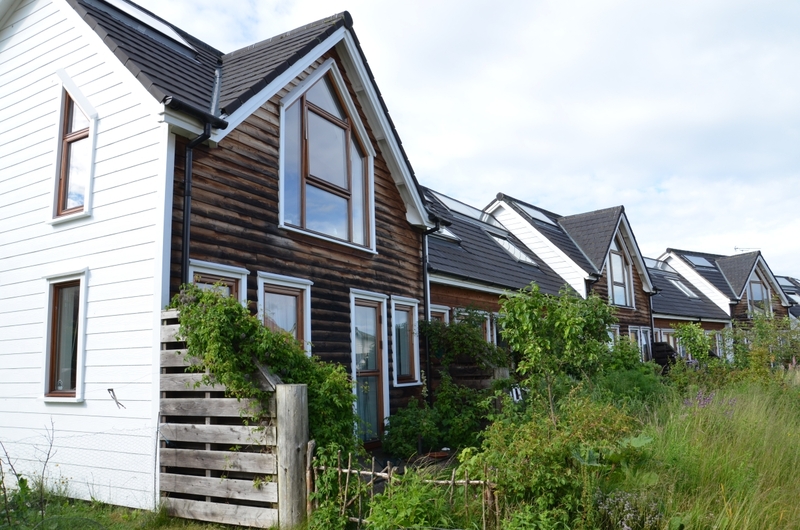 Despite these restrictions the complicated and private ownership of much of Findhorn has limited their capacity to then deal with issues of affordability. 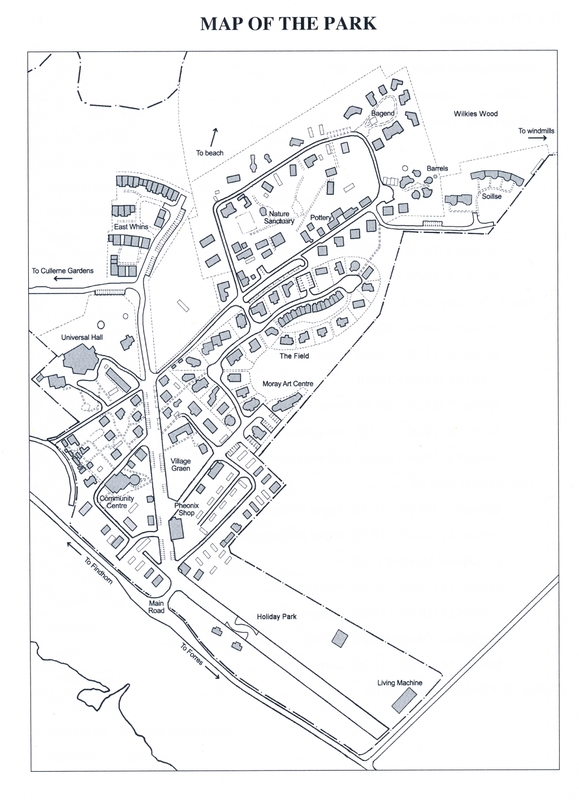 LACK OF AFFORDABLE HOUSING: Housing remains a significant problem at Findhorn. There continues to be a need for affordable housing for co-workers of the Foundation, but much of the property on site is now owned privately, is very expensive and sought after. They are trying to find cheaper ways of building homes. 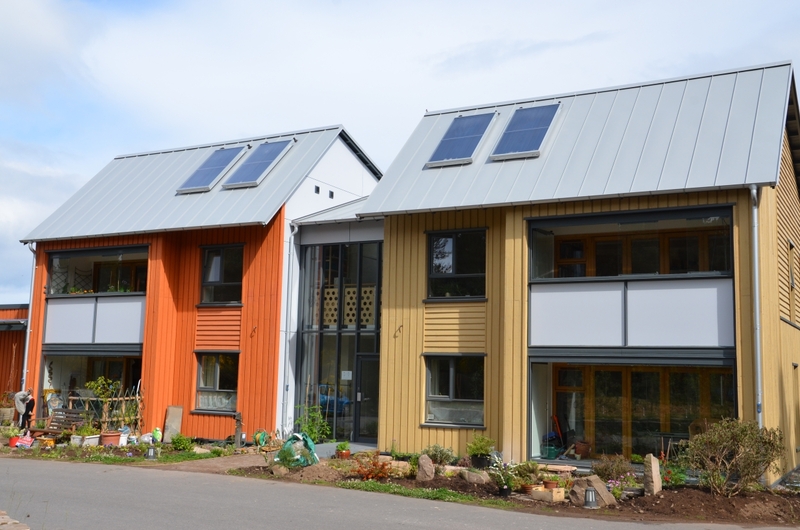 The co-houses cost £180,000 per unit and the Findhorn Foundation has purchased a few flats in order to provide affordable housing for its employees, though it is limited in how much capital it can raise to do this. At the same time they have looked at the caravans they still have on site. The Foundation has planning permission to replace caravans with equivalent structures, and thus has developed the Ecomobile. 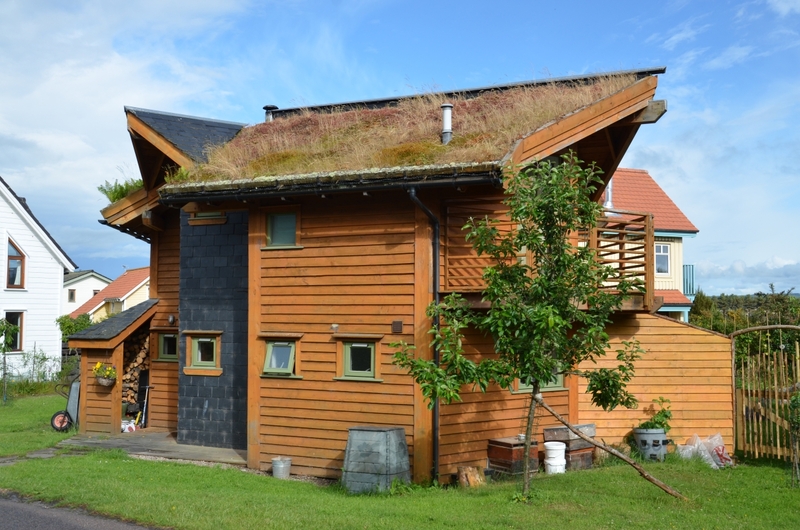 At a cost of just £40,000, using minimal foundations, they have developed an elongated structure with simple internal design and open plan living and kitchen with outside deck space, they are fantastic small eco-houses. Given Findhorn’s haphazard growth and development it is not surprising that it has had to develop (and then re-develop) its governance structures as the community grew and needs changed. In the 1990’s there was significant change, triggered in part by its continued growth, but also financial difficulties. Findhorn was separated into the Findhorn Foundation (which includes the Findhorn Foundation College and New Findhorn Directions, and does the work of running the infrastructure and visitor facilities) and the broader community organisations and individuals working onsite. 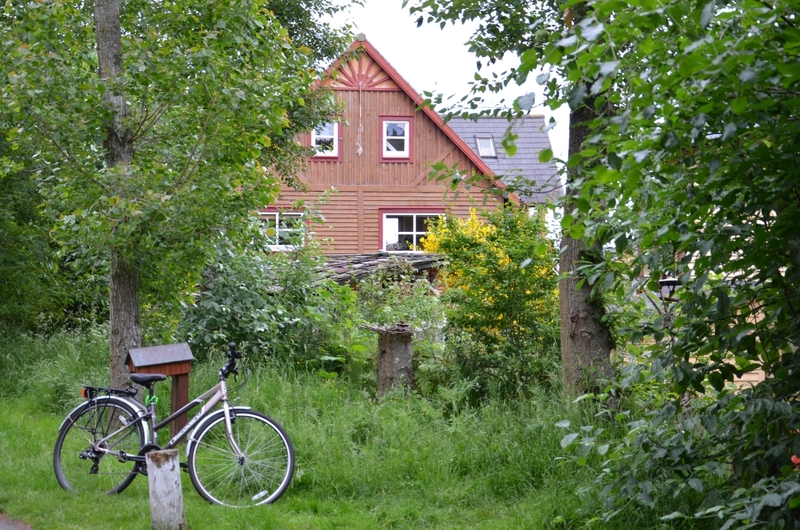 In the 1990’s many of the business which had been developed within Findhorn became independent (such as Findhorn Press, Trees for Life, The Phoenix shop, and The Game of Transformation), but remained physically in the eco-village. The umbrella organisation over the whole village is the New Foundation Association (NFA), formed in 1999. 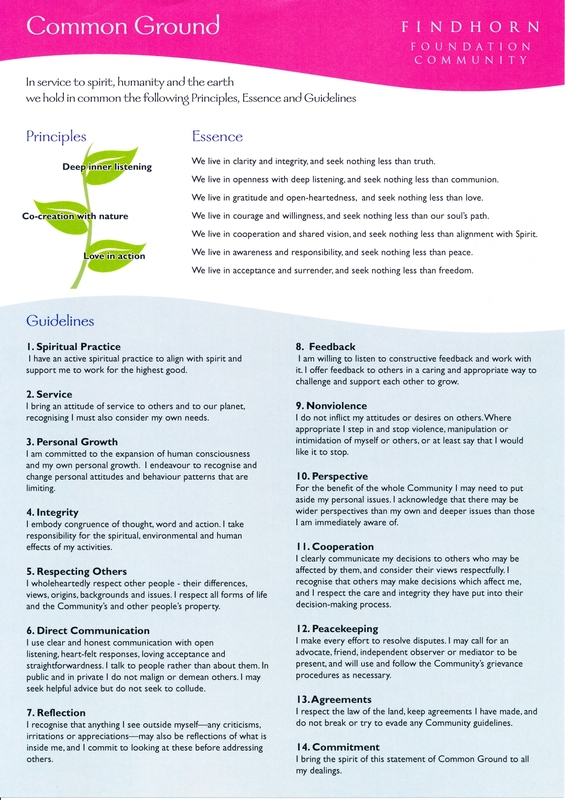 In seeking to outline what communality there is across these potentially disparate groups a statement of Common Ground which outlines 14 guidelines for the Findhorn Foundation Community was developed. In essence the village is divided between those who are part of the Foundation (co-workers, get paid by it, eat communally) and those who are not (and can live relatively separate lies), and the NFA is the community association which is attempting to bring together the diversity on site. This is helped significantly by the Rainbow Bridge community magazine which is printed and distributed weekly and includes minutes of committee meetings. The Foundation is no longer run by consensus. Instead decisions are made by a management committee who liaises with a Council of all members of the Foundation. The management committee gets elected and the heads of the work departments/ units are chosen by the committee. Despite this quite formal structure decisions often made through spiritual and cultural practice such as attunement – silence and reflection to attune to the task or respond to a question about a decision which is needed, often while people are holding hands and standing in circles. What is most surprising about this practice is how well it seems to work. The focus for the Foundation now is on good management, through greater coherence across the village, but also greater transparency and accountability. There are some interesting tensions around money. Co-workers get a small monthly stipend of £200 and free board and lodging, though housing is limited. 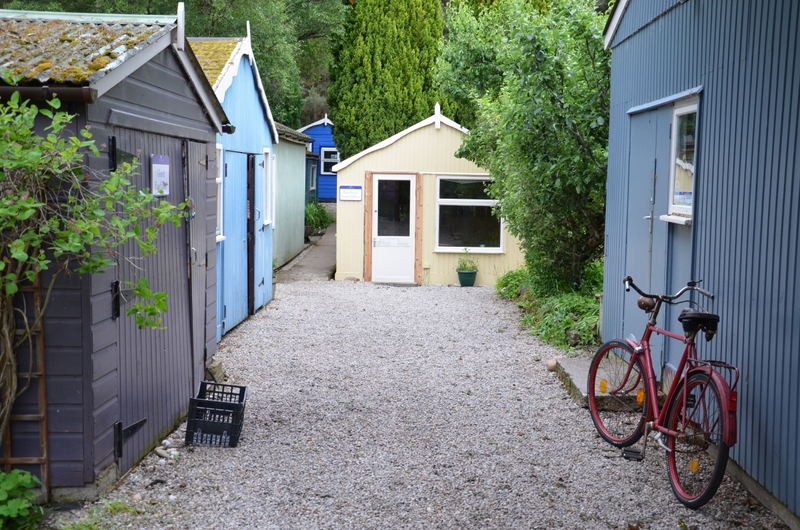 Findhorn is a place of growing private businesses, private land ownership and wealth, alongside co-workers on very low wages. There is no obligation to share personal money, although they have their own local currency – Eko – which helps keep wealth in the region. Being ecological is not the same as being self-sufficient, but there are important overlaps. Findhorn has an interesting relationship to place – the focus on spirituality overshadows attempts at environmental self-sufficiency, yet it has had a significant positive impact on the region and internationally. Findhorn is located in north east Scotland on the shore of Findhorn bay, just east of Inverness. It can be a harsh environment in which to live, with a short growing season. They do not provide much of their own food onsite, growing roughly 5% of their needs. In the early 1990’s Findhorn had a Community Supported Agriculture scheme but it collapsed; now few people work in the gardens. However, it has half the ecological footprint per person of the UK national average (Tinsley and George, 2006). They have several large wind turbines and many homes make use of solar power. Its education programmes provide the main avenue for income. Since the 1990’s they have worked hard, and developed specific programmes line Building Bridges, to reach out to others and extend their education programmes, corporate links and to bring a wider diversity of people into the village. In addition, their presence and their business have meant that in 2003 it was estimated that Findhorn created £3.8 million in value of economic impact for the local area. Thus, ironically for an eco-village, they are perhaps more economically sustainable than they are environmentally self-sufficient.
? The importance of age in community: Findhorn has only recently engaged with the issue of having an aging population, and they do not have any pension provision. Several conference speakers talked about their work exploring co-care in age specific living (50+), while others wanted to commit to building intergenerational communities. Either way there remain many questions around how to better plan for aging residents and care.
? Food production: There was a lack of emphasis on this at Findhorn, and it is notable how many eco-communities lack agricultural skills. I would like to know more about why this is and what can we do to correct it.
? Local economic and social impact: There was much talk at Findhorn about the positive impact on the region, and some economic figures, but I would like to know more about what residents not associated with the village think about it. Many people are associated with Findhorn beyond the site itself, but what impacts is it really having?
? 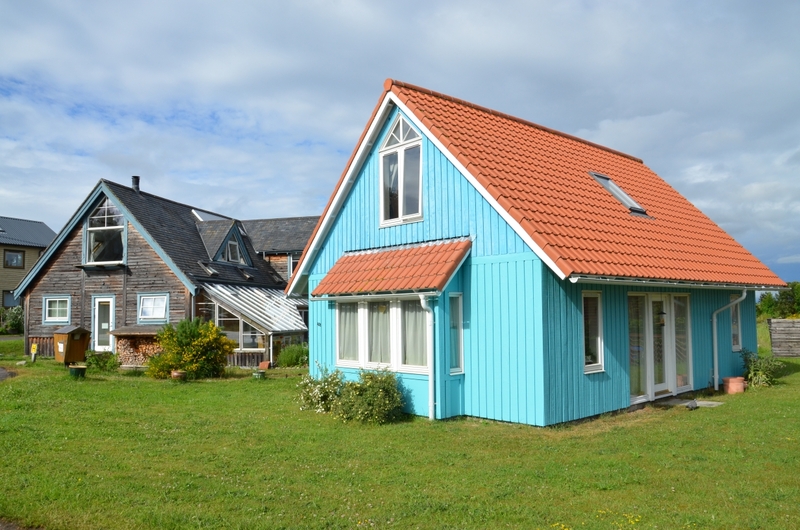 Housing affordability: Ironically Findhorn has become such a desirable place to live that they have pushed up the local market house prices. We still need more and better models of housing affordability which work. What do we need to do to change our housing system? I would like to extend special thanks to Findhorn residents Craig Gibsone and Dürten Lau, the focalisers for the taster experience, and for all the residents of the Guest Lodge and in my taster group that week for a whole lot of fun. Also to Graham Meltzer for the best conference I have ever been to. Findhorn Foundation Community (2012) 50 Findhorn Birthday Book Spirit of the Future. New Findhorn Association, Findhorn. Hawken, P (1975) The Magic of Findhorn. Book Club Associates, London. Riddell, C (1990) The Findhorn Community: Creating a Human Identity for the 21st Century. Findhorn Press, Findhorn, Scotland. 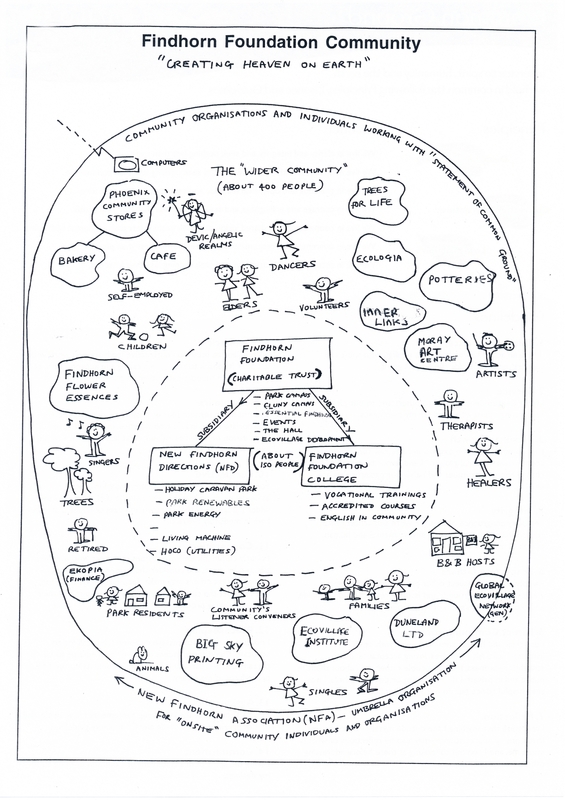 Talbott, J (1995) The Findhorn Community, in Eco-villages and Sustainable Communities: Models for 21st Century Living. Findhorn Press, Findhorn, Scotland. 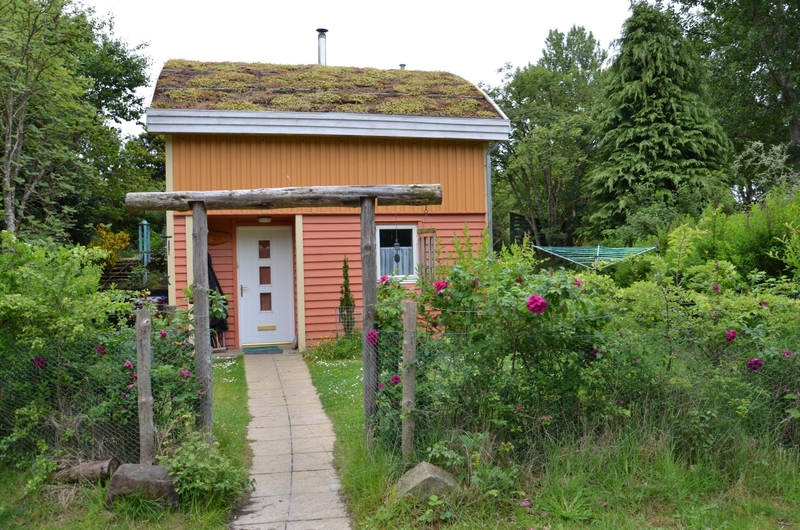 Talbott, J (1997) Simply Build Green: A Technical guide to the ecological houses at the Findhorn Foundation. Findhorn Press, Findhorn, Scotland. To visit Findhorn: You are able to visit Findhorn for a day and walk around the village, stay onsite at one of the many private B&B’s or join an Experience Week. There is an excellent cafe onsite – Blue Angel – that serves food and drink. Brillaint stuff as usual, please keep articles coming! A hundred caravans onsite in 2013? Never, probably not even in the early sixties. Even the nearby holiday park has less. Today, 2016, there are only two or three.